In the Hustle and Bustle of getting a quilt pattern released I sometimes forget to share the story behind the quilt. 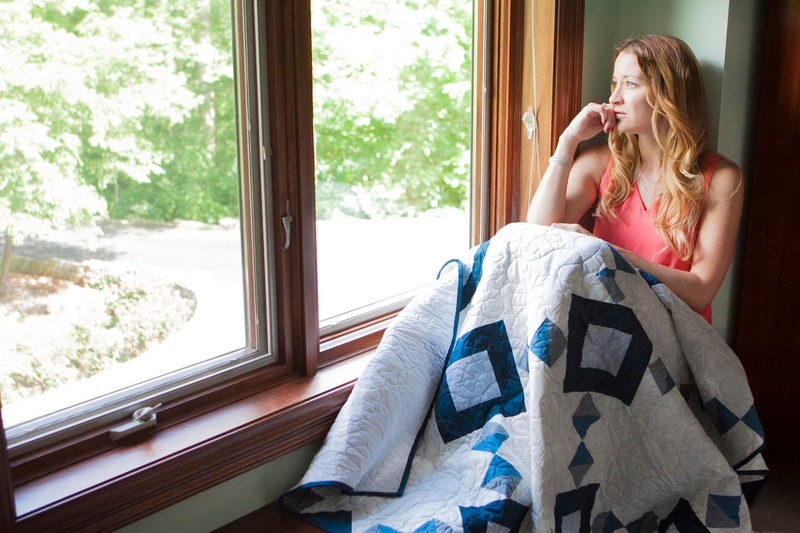 I always love reading about the why and how a designer made a quilt, so here is your chance to read more about my quilt pattern named Fractured! 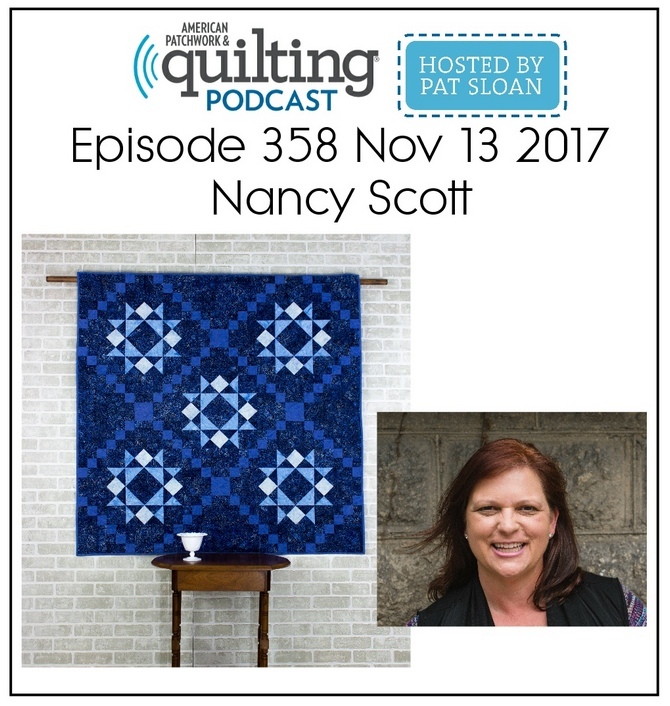 I think it's because I am drawn to vintage and antique quilts, I have always been a blue and white quilt lover and Fractured fits right into that category. 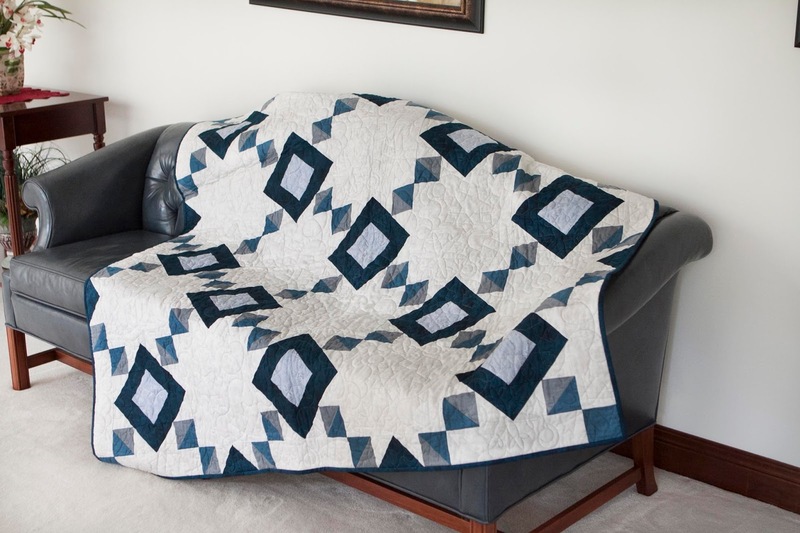 However instead of just being a two color quilt, I added several shades of blue along with a little bit of gray. The name came by accident, quite literally, from the accidental breaking of a piece of glass - yep antique glass to boot. It was a really thick clear bowl and when it hit the cold, tile covered concrete at the studio it broke into big chunky pieces with jagged edges. The edges caught the light and refracted it into angles. 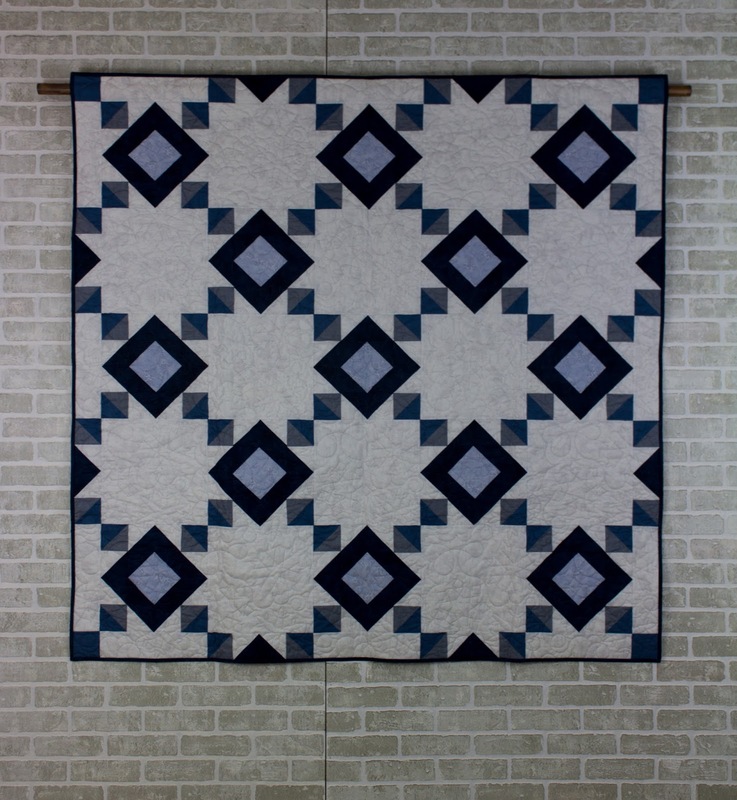 At that time, I had started piecing this quilt and had some of the blocks randomly pinned on my design wall. The angles of the block mimicked the jagged broken edges of the glass and the name was destiny! While I had some other names in mind, I decided to stick with Fractured. The pattern for Fractured is available for pdf download on Craftsy . It's the type of quilt that every time you look at it, you see a different secondary pattern emerge. I would love to see your version of Fractured. 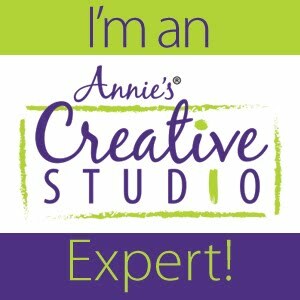 Feel free to post a photo on my Masterpiece Quilting Facebook Page.